It is the third innovative bar which has been released recently. 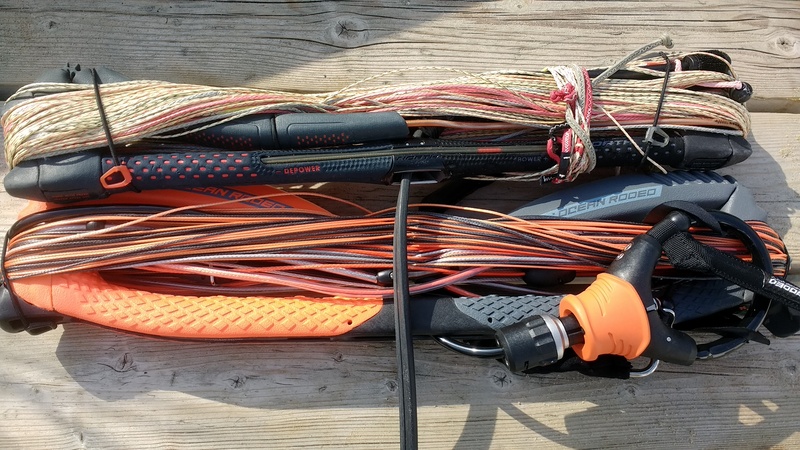 The Cabrinha Fireball and the North Click bar are now joined by the Ocean Rodeo Stick Shift bar. Just like the North bar the power and depower control is adjusted on the back lines by turning a button at the right side of the bar. All three are refinements which results in cleaner systems with small, delicate benefits. Mind you the Ocean Rodeo and North bars also come with a significant price tag. Is it worth it and which one to choose? 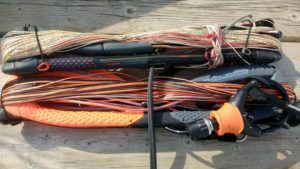 Why would we want to change a classic depower strap system on the front lines to a back line adjustment? Well it is not a necessity to be honest. But there are some advantages. Of course it is easier to reach and with these systems even short-armed persons can adjust the power without any reaching issues. Another advantage will be liked by people who do unhooked tricks. By depowering the front lines it usually means the safety line will be longer which result in some slack on the line. 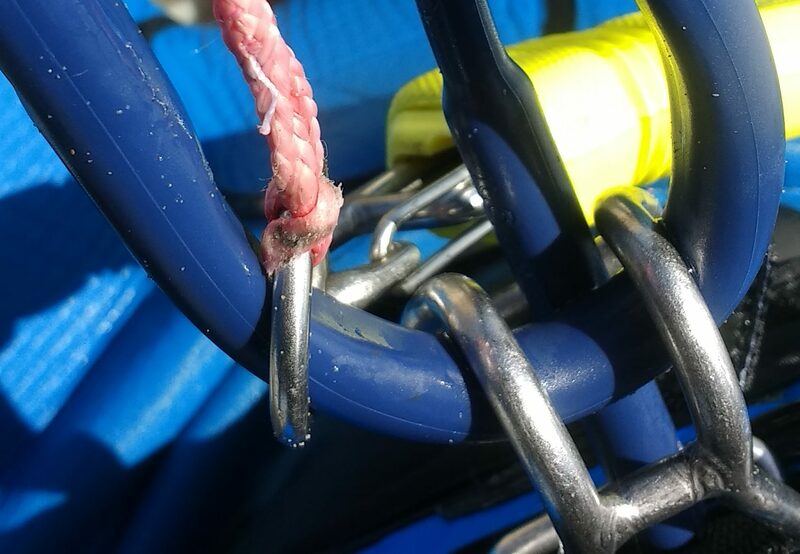 The slack will mean the ring where the safety line is connected will go down and that the ring will be an obstacle for quick and clean rehooking. We had about two weeks to test the brand new OR bar. We used it on a sandy beach in situations up to 40 knots and very rough conditions. Obviously the kiting it self isn’t much different using this bar or one with a traditional power strap. We use the North Click bar a lot and used it as a reference point for the OR bar. Generally speaking both bars will -to our well educated guess- be improved the coming years. We know already the North Click bar has a serious issue with wear out, which is going to be (at least partly) altered in the next version. Apart from this point the North bar was quite a step forward. The OR bar isn’t any different. At some points it is even better (for example there is a metal protection at the end of the safety line). But is has also some sit backs (like the unclear power settings mark). Which means -although we used it not as much as the North bar- we found some details to be taken care of to. But is it worth waiting for the next version before buying? For the North bar yes, for the OR bar we would say it is undecided. Remember that almost all other bars suffer from wear out on either (or both) the depower and safety line. For the OR bar these parts will probably last much longer and might just be the reason to take some other disadvantages -like its price- for granted. The North bar suffers from wear out within months at the split and below the swivel. For the OR bar we don’t have enough knowledge, but it has a low “V” and with a special metal tubing which protect the safety line below the swivel which looks to protect the safety line much better. It seems a smart solution North can learn from. North comes with 2 meter extensions which can be used to lengthen the 22 meter to 24 to get a better low end. The OR bar just has one length. The (more) open system of the OR bar needs to be rinsed earlier as the North bar. 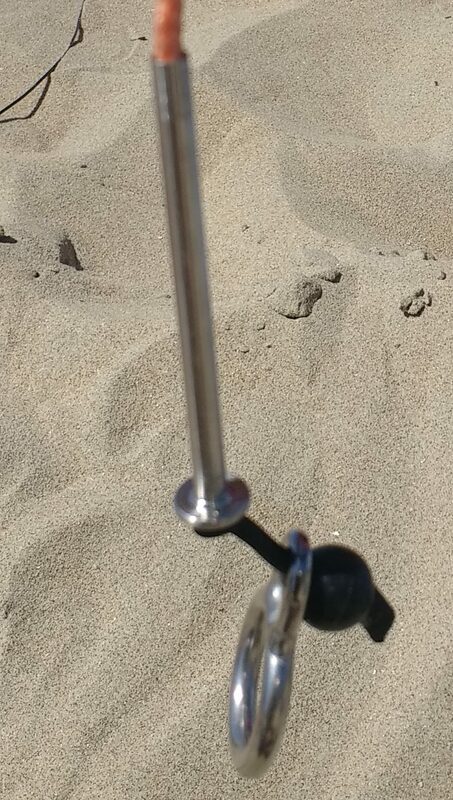 Especially after a break when used on a beach. Adding the fact that the OR bar has a smaller turning knob compared to the North bar. It’s quite a struggle to power it up if it isn’t washed for a few seconds in the water when the bar is just picked up from a sandy beach. The North bar has a bigger lever and a more closed system. Which by the way may be more tricky for an easy check on the status of the lines inside the bar. up one more turn or not. It could have been solved easy by having a clear max power sign somewhere. At this point you can only feel it’s maximum setting by turning it until the system won’t let you turn it any more. The North bar has a sign inside it which shows the setting quite clearly. More and more bars are equipped with a swivel below the bar. The swivel should be turned which makes the safety line free from a potential blockage. 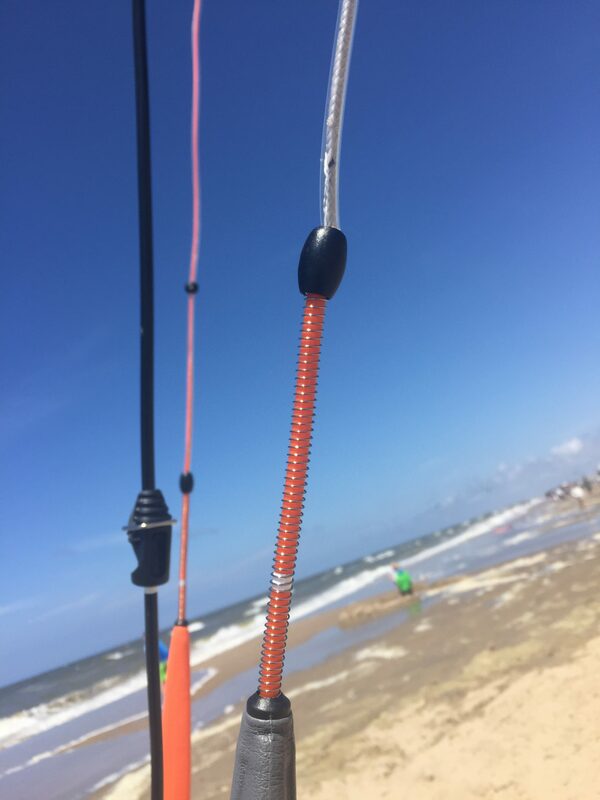 This way the safety release works perfectly, even after multipel back, front or kite loops. 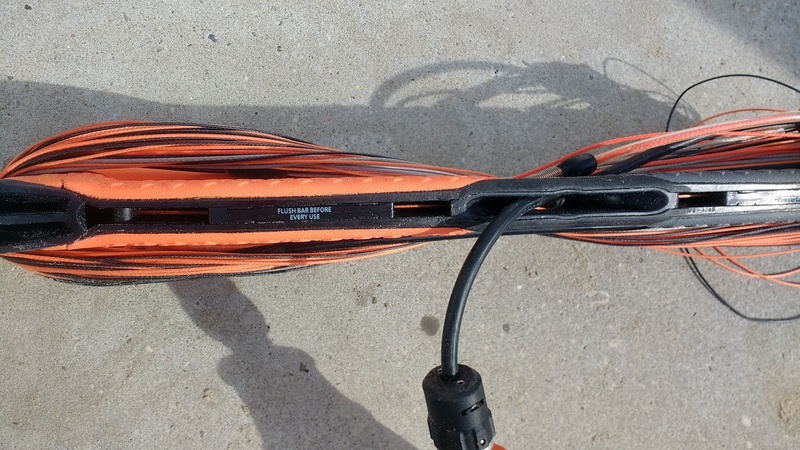 The only bar we have tested so far that untwists by itself is the North Click bar. This can be seen as the ultimate safety. 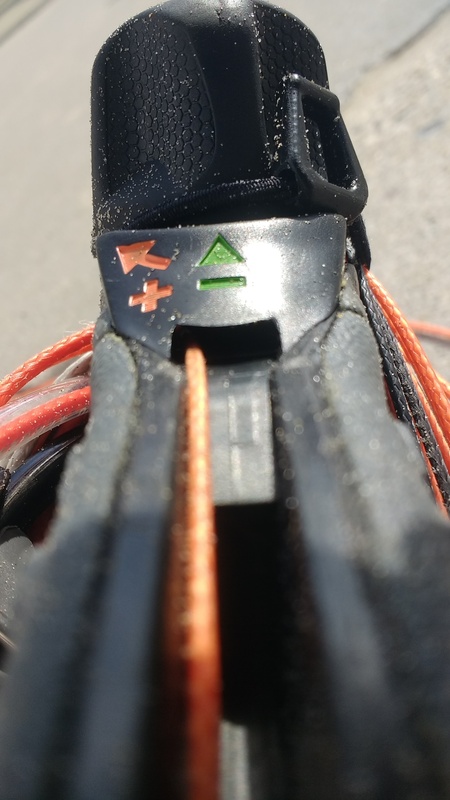 But of course only when the safety line doesn’t break within a year or so (which turns out to be the problem with the North Click bar). The OR Stick Shift below the bar swivel unfortunately still needs to be turned by hand. The Click bar from North needs to be opened to be cleaned, cleaning the OR bar is easier since it is build openly at the bottom side. 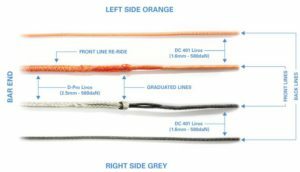 The line strength, according to the manufacturer, is stronger at the OR bar; Liros DC 401 lines with 580 daN breaking strength where the North has 330 (back lines) and 400 (front lines) daN Fl-10 and Fl-14 lines from Teufelberger. 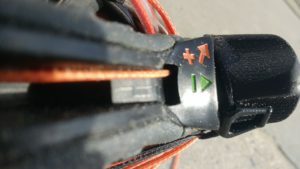 The OR bar cannot be used on North kites (or other kites which are designed for a high “V”) without affecting the performance in some way. The North front lines split can be adjusted to several positions including completely down. The OR bar isn’t set easily on suicide mode a lot of friction wil be set on the O-ring when putting it over the chicken loop. Norths way of keeping the safety ring nicely at its position is much cleaner, but as we already broke this line exactly at this part, it urgently needs protection to avoid wear out. The North has an extremely thick depower line. This does partly influence the kite feel; it makes it a bit tougher to throw the kite around compared to the standard bars. The OR bar isn’t different to other bars. The Ocean Rodeo is larger in diameter, where the Click bar isn’t much different from most bars. The OR bar also is a bit rougher on the grip. The OR bar floats, the Click bar doesn’t. thank-you for the observations. I have provided feedback on your comments below. We struggled with how best to indicate the true power of the bar and settled on this line as a sufficient marker. Down the road, we hope to colour the springs on the rear line Helix tension system such that as the spring compresses, the colour becomes more bold. I can’t say when this will happen but I agree, your comment is a fair comment but one that we feel customers will be comfortable living with as we find a better solution. We do not produce High V kites so I cannot speak to how well – or not – the bar will work with those kites but can say that the front line re-ride is compatible with all SLE kites and we ship with a variety of pigtails to work with all brands of kite. 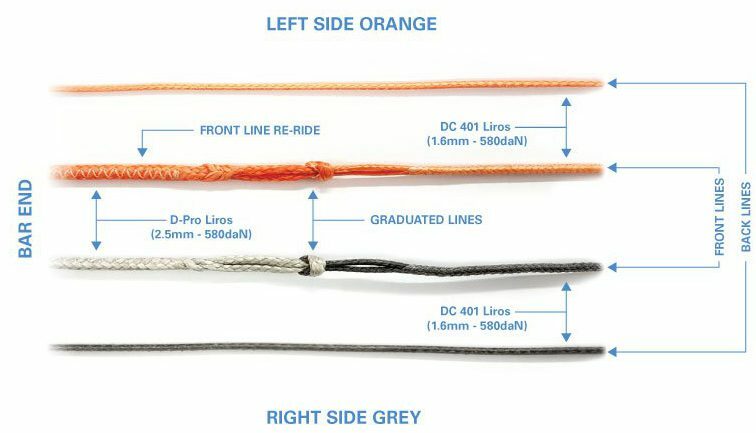 Thanks to your feedback too we are re configuring the pigtails to Port / Starboard colours and not to colours based on the knot to knot or knot to loop connection. This will begin with our July production runs of bars but otherwise does not materially impact the use of the bar. Yes, I can see that going back to back with the Click bar it would seem their winder has more leverage. It does require a full half turn for each increment whereas ours allows smaller, quarter turn increments. I should also mention here that we also ensured our bar floats. We feel this is an important safety consideration. We intend to make a variety of bar sizes in the future but we absolutely intend to make one smaller diameter bar soon.